A massive surge in planning applications for battery storage has taken place in the UK, new data from a renewables trade body has shown. RenewableUK has today launched a new industry database which shows the significant increase in storage applications dating back to 2012. The trade body has also revealed data which points to a stark increase over the last few years, from 392 submitted applications in 2015 to 6,874 in 2018. According to RenewableUK, the increase in applications for battery storage units is due to the requirement to power an increasing number of electric vehicles (EVs) and charging points. The new data suggests that 3.3GW of storage capacity is now operational in the UK and a further 5.4.GW has planning consent – including 4.8GW of battery storage, which is enough capacity to fully charge 480,000 electric vehicles. 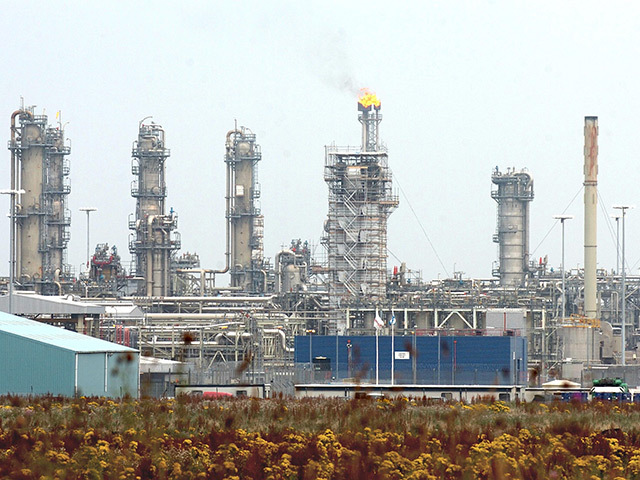 RenewableUK’s executive director Emma Pinchbeck said: “The energy sector is breaking new ground by making an unprecedented transition to a clean, flexible system which will power our country in the future. Energy storage is already playing a key part in that, from small local projects to grid-scale schemes. 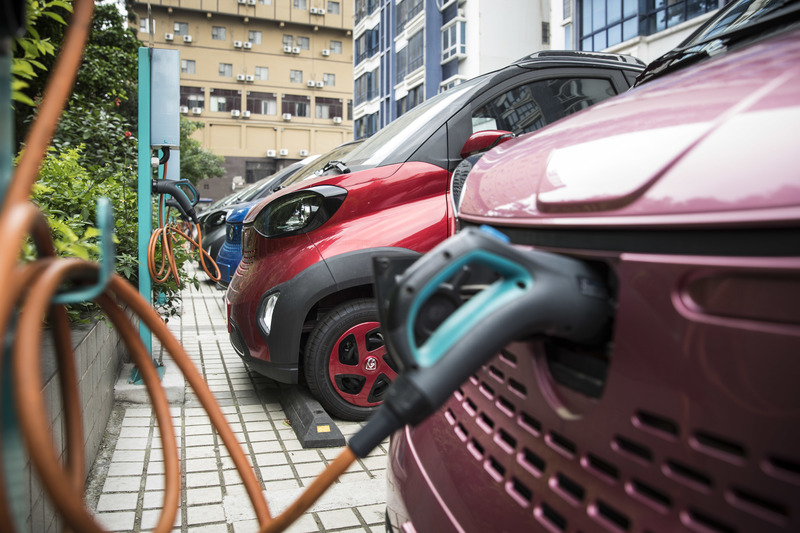 The increase in planning applications indicates a quickly growing marketplace for EVs, with that number expected to shoot up over the next three years. Chief executive of the Solar Trade Association Chris Hewett said: “Energy storage has already begun to unlock the full potential of wind and solar energy, and it’s happening faster than almost anyone anticipated. “It’s clear that storage will be the foundation of a smart, flexible and decarbonised future energy system, and this conference is an excellent opportunity to hear straight from the experts and business leaders who are working to make that future a reality”. 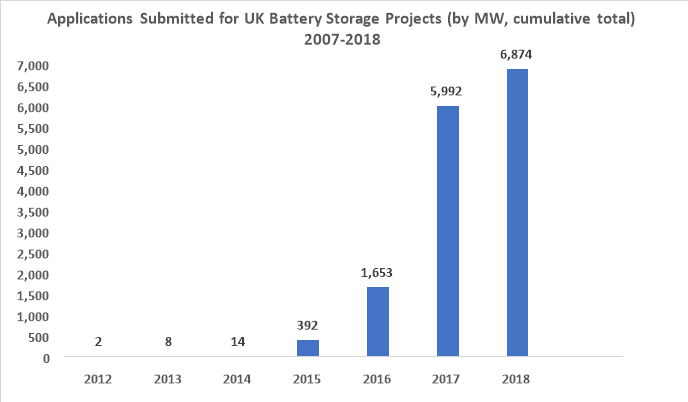 Applications submitted for UK battery storage projects 2007 – 2018.